Python is preferred by a lot of developers because of its readability, efficiency and solid emphasis. It is particularly evident when compared to such languages like C++, PHP or Java. If you are one of those who started out with Perl, C or Java, Python’s learning curve is tiny. However, due to the fact that it is so easy to learn, people often consider Python as unnecessary programming skill, which is wrong! Why KeyUA prefer Python for web development instead of the wide range of programming languages? We have at least 23 reasons why Python and Django are so good in web development! If you ask any programmer: “Which programming language is easiest to learn”, most likely the answer will be Python. It looks like Python was designed for those who unfamiliar with programming at all! It is easy to understand and the math is understandable as well. You can teach the basics to anyone who is not familiar with programming at all. Thus, after you pick up the concepts of Python, you’ll see that other language based on the same principles and approaches, and you’ll note that you are already familiar with them. As we can see, the Python way is quite simpler. Such simplicity can be a key. You can do more and do it quickly because you need fewer lines of code. Due to the fact that you get more with less code, you can build your ideas and prototypes faster. If you want to define the most overlooked aspect of web application development – that would be the ideation, which is implemented in prototypes. With Python, you’re saving your time and money and get satisfied clients as well! The complex is ok, complicated is not ok. 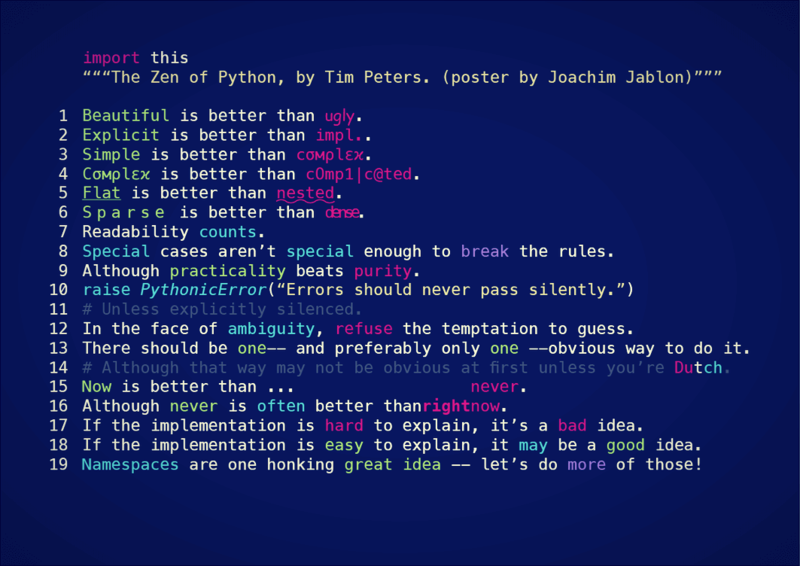 These rules are called “The Zen of Python”. It's really difficult to go wrong with such a guideline! Such variability can open new horizons for your project, and opens new ways to implement your ideas. What do you know about fintech? If not so much, you better start learning about it, because it might be your favorite industry! Despite the fact that fintech revolution started three years ago in Silicon Valley, the industry is still growing. Today this sector is a combination of technology and money. One of the biggest benefits of Python is the fact that it is the number one language in fintech, here we can see that it beats PHP, Ruby, Perl, PHP, and Java. Today Python is a vanguard of fintech, and this industry is definitely the future of the business. As a business finder (or as a performer), may not care about the danger of getting stuck in the middle of the project, due to the fact that your developer has access to the numerous resources that constantly keep getting modified and refreshed. You also have the access to a huge library with a solid built-in functionality. That’s why we have thousands of programs built with Python. It also comes with a built-in unit test framework, so you can ensure that your code works the way you want. Python offers a great flexibility to your programming environment, as well as offers some frameworks that make your job easier. 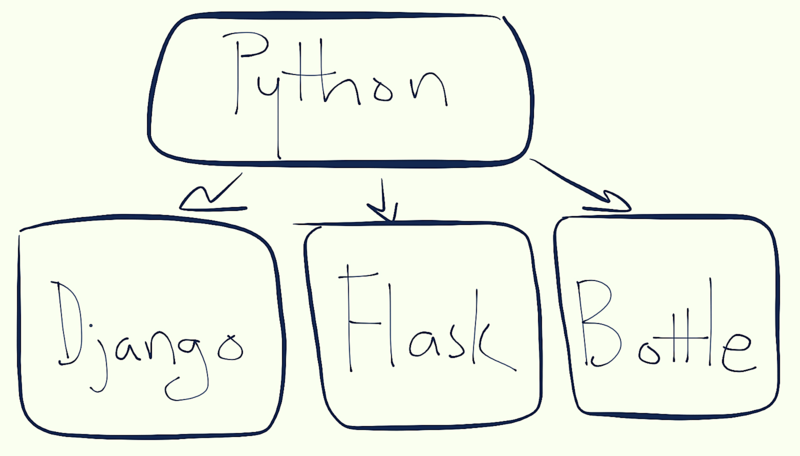 With Flask or Django, you can easily focus on your application or website and save dozens of hours of work. In other words, programming environment and frameworks help web developer to be more efficient and productive while building a website with Python. It can be really important when you want to bring your app to the final explication in the way you want. Django is considered the most popular framework, followed by Pyramid and Flask. Grok, web2py, TurboGears, and Zope2 are also worth mentioning. Django framework is a trump card to work with Python and one of the reasons why it’s a good idea to work with Python. With Django, you can model your core classes, and domain, so you have an ORM out of pocket. Django can simplify the template building process, due to its template language you can speed up the process without loss of quality. It is understandable, why such big players like Instagram, Pinterest, The Guardian, and even NASA decided to pick up Django. Furthermore, it is an open-source framework, which is constantly supported by an active and wide community. You can check out the current updates on DjangoProject.com. Another reason why Python can be better for your project is the advent of the Internet of Things, which introduces countless opportunities for Python programmers. Such environment opens numerous doors for Python developers. For example Raspberry Pi, a platform that makes a series of tiny computers (like, MasterCard-sized) running Python. With such platforms, developers can make their own devices: radios, phones, cameras, as well as games just using Python. Such concepts allow programmers to make DIY gadgets that can be connected to the real market at a reasonable cost. If you want to build a new product, you have to choose your programming language wisely, drawing on expertise and preference. If your budget is thin, but you need the product anyway, the importance of language becomes more and more serious. Python is a great decision for startup and bootstrap because you don’t need a lot of code (like in case of PHP, C or Java) and you can deploy the product quickly. A lot of worldwide IT leaders along with major IT organizations prefer Python. We are talking about Nokia, Mozilla, Disney, Yahoo!, Google and, of course, NASA. Since these companies using Python, web developers will have a job to do! But how much does it cost to do your business with Python? Given the scale of Python’s popularity, it’s understandable, why so many “blue chip” services and sites are based on it. The list includes YouTube, Dropbox, PayPal, Instagram, Yelp, Disqus, Reddit along with such games like Second Life and EVE Online. This means that you can easily find an experienced developer in this industry and start working on your startup. 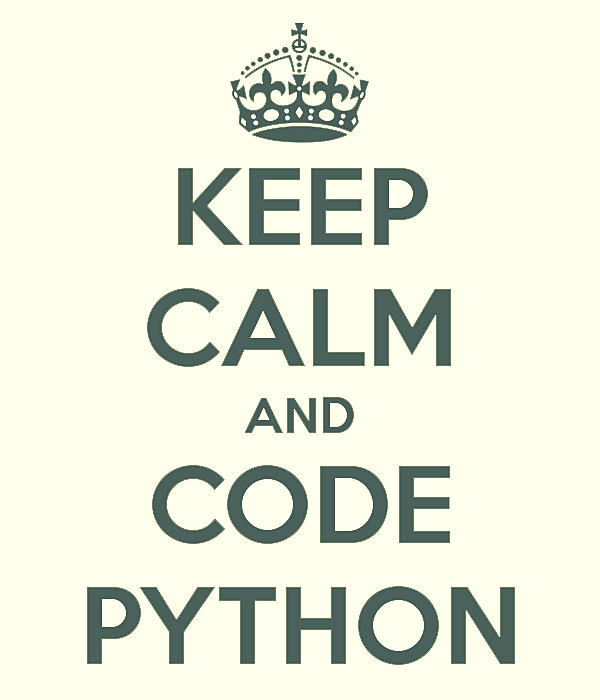 If you consider yourself as a future teacher, not a developer, Python can give you chances! For years, since 2014, it is one of the most popular languages at the universities. There are a lot of times when Python was considered for web development for beginners as an essential language. I can safely say that this situation will not change in the next years. If you know how to build a website with Python, you probably familiar with the importance of system administration. Since you already know that with Python you can develop literally any type of web application or software. But what about sysadmin task management. With such extensions like Ansible or Salt, you are free to use a wide range of sysadmin features based on Python’s basic principle so you can manage every task you need within your operating system. It worth mentioning that Python is also pretty good as the instructional language since it allows people (e.g. students) to learn the basics of system administration and make system utilities. If you are the creator of a unique gadget that works with Python, but that doesn’t sound spectacular enough for you, keep reading! In accordance to TIOBE ranking, Python is not a leader in terms of salary, but it is on the top 5 list and its popularity is growing every day. Furthermore, its popularity will grow (6.8% for this year, while PHP losing 5% in 2017). In 2016 an engineer with knowledge of Python could earn up to $100,000, in 2018 this number can rise to $114,060. Needless to say that Python’s community is one of the largest in the whole world. From the perspective of the open-source platform, Python is built by thousands and thousands of fans and contributors from all around the globe. At this point, Python can be considered the most successful crowdsourcing language. As I said before, Python is scalable, easy to learn, and the well-designed result of long years of effort made by the best minds of our generation. What does ‘open-source’ mean exactly? In fact, with the open-source license, you can implement Python and modify it just as you want. You can also add solid blocks of a different code so you can make this language fulfilled with features for free! Not enough? You can use numerous libraries to build different applications if you are involved in data analysis, machine learning or language processing. Still not enough? Support is free as well. In case you have any question, you can find answers on Python website Python.org easily. We guess that that’s enough about Python, now we’re going to highlight some advantages of Django, the unchained framework! Django can ‘hide’ the source code of your site (HTML and CSS files are an exception) from straightforward viewing from the Internet. Web development and SEO aren’t always a good team. Often they’re interfering with each other for many reasons. Thank God, such situations are winding down when it comes to Django. First of all, Django uses readable website URL, which is good both for user and search engine, so you can add keywords into URL for ranking purposes. Most likely, your SEO team will be happy to know that your next project will be based on Django. When it comes to readable URLs, it’s always a good news for SEO and users as well. Despite the fact that Django is batteries included, you have to do some code. Since Django comes with such benefits as quick start details, online support, a detailed release description, you’ll definitely have fewer issues with it. As you can see, the code is pretty neat and short. You can make a lot of things with the administration interface with the freedom of customization. In our days, people are used to different gadgets, platforms and, of course, web applications. With Django, you can make your web application more available, since it supports such operating systems as MacOS, Linux, and Windows. At the same time, Django offers ORM framework, so you don't have to work with a lot of software engineers in order to work with databases. Furthermore, you can set up the ORM in order to perform fundamental database work with the possibility of migration between different databases without adding additional code. Web developer that works with Django can build modern, high-quality web application. In fact, this application can be scaled, modified, the structure can be expanded in the future in accordance with your new ideas or changes in your segment. You can also focus on the decoupled segments if you want to replace them or remove them. 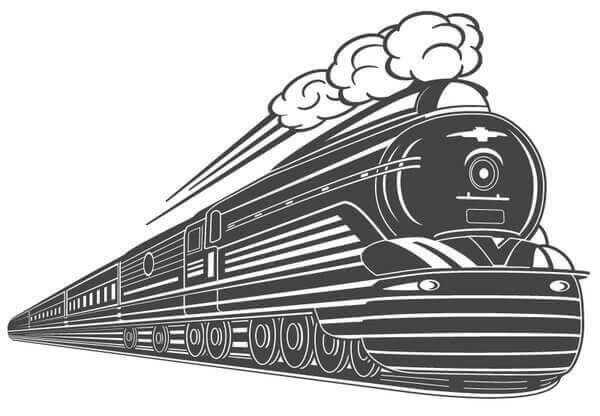 It feels like Django has been created in order to give you the possibility to make any application even faster than you expected. Creation from scratch with Django may cost you less money and time. It's definitely a win-win situation. From this point of view, Django is a perfect choice for those, whose time is an essential currency. I’m sure that Python is a masterpiece must-have in programmer’s arsenal. It is consistent, clean, and comes with a straight philosophy. It is pleasure for both using and working with. Furthermore, it is a bridge to other programming languages if you are looking for a language to start from scratch. If you’re stuck at some point while working with Python or Django, you’ll get a dozen solutions in a few minutes because of a huge enthusiasts support community and tutorials. Is Python worth learning? If you compare Python to Java, C++ or C, you'll note that they are statically typed languages, while Python is a dynamic language, so you need fewer lines of code to write the same program. It also comes with a “batteries included” standard library, so you already have everything to build a solid web application. In the case of other languages, you have to install additional libraries to do this. Furthermore, due to the fact that Python is a mature programming language (even older than Java! ), it comes with a wide range of external libraries for scientific calculations or gaming development (just to start with a few). You can use it to create a program desktop app and do this more efficiently. Note that Python is a scripting language, so you can quickly and easily write simple tests and scripts. Lately, it is also used because of powerful web frameworks. Django and Flask were released in part because of a huge codebase and a big number of programmers, so it was a logical solution. I hope that this article was helpful and you learn something new! Whether you are the web developer, student or startup CEO, you can get a lot of benefits if you consider Python as your essential programming language and Django as your web framework for the project. Hope you enjoy this article. Stay tuned with KeyUA blog, we have a lot of new articles coming soon.